Millions of Americans celebrated the solar eclipse on August 21. The news media joined in with lots of coverage, but those who knew what it meant weren’t celebrating because the Bible identifies solar eclipses as a sign of God’s coming judgment, a time for mourning and repenting, not celebrating. For example, before the wrath of God is poured out on the world on the day of the Lord, the sun will be darkened. God says, “Thus I will punish the world for its evil and the wicked for their iniquity; I will also put an end to the arrogance of the proud and abase the haughtiness of the ruthless.” (Isaiah 13:9-11, Joel 2:10-11, Joel 2:31, Amos 8:9-10, Matthew 24:29-30, Acts 2:20). When the day of the Lord comes, God’s wrath will be released by seven angels blowing seven trumpets. When the fourth angel sounds his trumpet, a third of the sun and a third of the moon and a third of the stars will be struck, so a third of them will be darkened and the day will not shine for a third of it, and the night in the same way. (Revelation 8:12) The darkening is an ominous event, signifying the terrible wrath about to be released by the next three trumpets. There is no mistaking which nation was targeted by the August 21 eclipse because it only passed over one, the United States. That was three weeks ago, and since then we have yet to make it through one whole week without a significant life-threatening event. The eclipse was celebrated as a once in a lifetime event, but another one is coming on April 8 2024, in the seventh year after the first eclipse, but more precisely, six years, six months, six weeks plus a few days, depending on how many days we assign to years and months since years are not exactly 365 days and months are not always 30 days. I think all the sixes have a hidden message of incompletion because six is one short of seven, which represents perfection and completion. Six represents man’s incomplete state without God, man going his own way rather than God’s way, wrongly thinking he will not be held accountable, but God will hold every man accountable for his deeds. The 2017 eclipse formed a diagonal line across our nation from northwest to southeast. 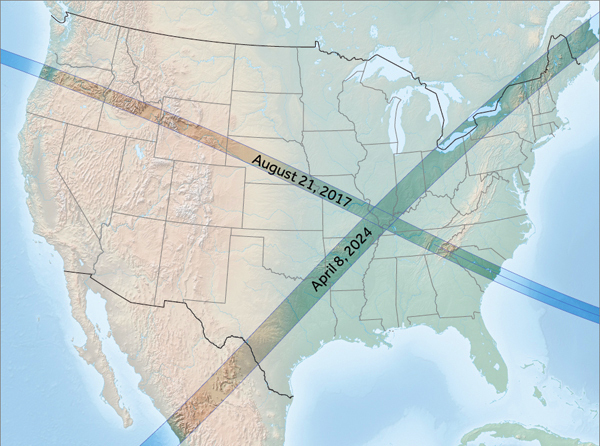 The 2024 eclipse will form a line from southwest to northeast, with the two lines intersecting right over the New Madrid fault line. Although there is much turmoil taking place in the United States and much more is coming, if we will get back to making it a priority to support Israel and to preach the Gospel of Jesus Christ, there will still be something left of this nation when it is all said and done. Before hurricane Harvey hit, the Lord told me, “There will be notable death and destruction.” I believe it is now happening, but it isn’t over. Sandra’s warning confirms many other prophetic words telling us judgment on the United States has started. By connecting the two eclipses with the start and ending dates, Sandra has identified the exact length of the period of judgment and harvest. In December 2015, prophet Brian Carn also saw a time of judgment coming upon America from 2017 to 2024. He also saw 2024 marking the end of America as we have known it. He saw there will be an attempt to rebuild it in 2024, but it will never again be what it was. It will only be rebuilt as something completely new. “A new nation is forming before America. A new historical culture will be created. The compromise of the Constitution has begun,” says the Lord. “I will show you the light of liberty and how it burned bright, but now that light is fading, and you will eventually be the light that shall replace the light of the Lady Liberty,” says the Lord. In sharp contrast to many so-called prophetic voices claiming, “All is well, judgment has been averted, and we’ll soon become great again”, the evidence shows the opposite is happening. America has entered a period of severe judgment that will continue to intensify during the next seven years. …no worries bro…you are welcome here….im in Canada and as “aryan” as u can get lol…but none of us chose how we were born…all that counts is we r gods children!!! Welcome Daniel to a very welcoming, knowledgeable & God-loving community of believers. James does a great job managing the site as well as sharing dreams he receives from the Lord. We are thrilled you have joined us and welcome you whole-heartedly. We would love to hear your dreams about the U.S. if you are willing to share. Please email these to James. There is a large group of North Americans on this site but there are also many others from around the world. Speaking of which, although I am a North American by birth, I am your neighbor to the South, residing in Uruguay. Welcome Daniel. I am from the tip of AFrica! We are all citizens of a Heavenly Kingdom. Look forward to hearing g your dreams! Wow where in Africa, I’m in Nigeria one of God’s strategic places for raising His endtime ministers. Lovely country (Jabulani)..The” prophetic mouthpiece” of the world. I live at the place dubbed in one prophetic message given by Cindy Jacobs as the ” trigger” of the end time revival. . The Second home of late apostle John G. Lake. I have a couple of friends who left Nigeria for that country. Keep up the good work ma. God bless you. And a thousand shall fall at your side and ten thousand at your right hand But it Shall NOT come near you. Only with your eyes shall you look on to behold the reward of the wicked. Christine, I’ve commented this on here before but I think it bears repeating again for you. I met a man and wife who live in their motor home and found themselves having to drive through the center of the LA riots. As they drove over broken glass and around burning cars and trucks, they watched the looters breaking and burning and stopping cars and even tractor trailer rigs and drug the people out of their vehicles , but they only watched it from their window of the coach. He told me his favorite scripture was Psalms 91. You are sealed with His Word. May He bless you as you witness to others that they may ‘hide under His Wings also’ as you have chosen to do. than he who is in the earth! Thank you for your love, everyone. 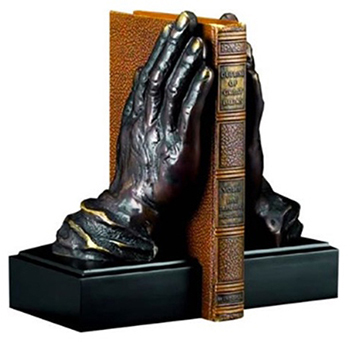 It is such a comfort to feel the net of prayer holding one safely above all that is unfolding. You are always welcome Christine.Much love from Nigeria. We will pray for you every day Christine. Sending much love your way sister. I will do definitely. It’s my prayer that the Lord will preserve you like the apple of His eyes and send His angels to form a closed link perimeter around your properties in Jesus’ name, Amen. I live in Houston and went through Hurricane Harvey, feeling clearly a few days into it that it was a judgement. Monday night September 4, 2017, while Harvey was still raining down on Houston, I had a dream. In my dream I was outside in the sunshine, looking at my hands holding a brand new, plastic wrapped package of little white pills. They were all on one silver sheet, each one in its own little clear blister so that I could see they were small and whitish colored. I remember thinking they were potassium iodide tablets and I needed to share the pack with others. I was holding it, knowing I needed to remove the clear wrapper and literally rip the pack in half or thirds along the silver foil without spilling the pills so I could split the pack and share with someone I knew. I was about to open it when words from Isaiah began being spoken to me that said something like “Woe to the fading garlands on the heads of the drunkards of Ephraim” and I recognized it as being wording similar to what is in Isaiah but I didn’t know what chapter. It seemed to be similar to Avraham Gileadi’s translation of Isaiah 28 from Hebrew to English which I had read before plus the King James version kind of mixed together. I wasn’t interested in sharing this dream publicly in any way but when the Lord referenced September 11, 2001 to Sandra, it made me wonder about my dream with the potassium iodide tablets since I know they are used to protect the thyroid after nuclear incidents. My dream seemed to be encouraging me to share the pills with others. I believe the only true protection is going to come through Him. Thanks for sharing that Tex. Hi James! What is your email so I can send some dreams I had? Ephraim is considered the prophetic name of the USA, is it not? SusieQ – I believe that America is the land of Manasseh because this is what the Lord spoke to me specifically last year. Ephraim’ decendents are primarily Great Britain. Of course there is blending and overlap, but we are undoubtedly the offspring of Jacob. I made a video to give detail about this related to the eclipse and what it means to us, as well as the Rev. 12 sign Sept. 23. Yes, Ephraim is America’s prophetic name. I believe tbat strongly though some have attributed it to Great Britain. There is a Chinese brother who was told this by an angel. Ask James for Brenda Browns’ email adres. Those words that God spoke to you is very very significant and has all to do with the new thing He is doing. just wanted to speak peace, protection, and blessing over James/Z3/contributors. May you be built upon a Rock, unwavered in your assignments, set like flint towards the Son. Have Mercy on us please judelete your people with your Divine Mercy and not with your Divine Judgement. This punishment that is coming please open our families friends acquaintances our neighbors our coworkers all we encounter open our eyes and hearts and allow us to stay focused on Christ. Help all of us not to be deceived or take the mark of the beast….I lift up the elect who will fall away have mercy on them and those who will die during the judgement without knowing Christ….. There is some great news to always bear in mind about the tribulation period. Christ said “for the elect’s sake those days shall be shorted”. How much they are shortened we don’t know, but personally, I think the Lord will return well before seven years are up. So witness with this. What also came to me is the time between the two eclipses being exactly 6 yrs, 6 mths and 6 days, a veiled reference to the time of 666, when great persecution comes to Christians who will not take the mark. Gematria has already been employed. The oldest texts of Revelation show 3 Greek letters and at some point a “scholar” employed gematria, which is contrary to what is said in Rev. 22:18-19. I think if the letters would have been left in place far fewer people would be deceived. The problem with the translation and gematria is that some translations read 616 not 666. I know of only one that says 646. If you Google “bismillah” and its relation to Revelation, it may very well be that the Greek characters representing 666 are actually the Greek letters Chi-Xi-Stigma, which visually corresponds to the Arabic bismillah, which means “in the name of Allah”. In other words, the passage in Revelation may have been John’s attempt to describe what he saw visually as the Arabic characters look like the Greek characters. It is actually more than that. You will have to hunt for it but I think you can find it. Remember, Mohamed’s wife was a former Catholic nun. Keep looking. Hi Christine. More accurately it is 6 years and 6 months and 6 weeks and 6 days. You have to count the weeks as well and it would be 6666 not 666. Yet even a stronger reference to me. I hope we are living during the first half of tribulation. These many heavenly signs can not be for just a simple judgement and only for america. That is not accurate. There are 6 years, 7 months and 18 days. I have read this site for years, and never commented, but this needs to be corrected. Both calculations are correct because seven months and 18 days are the same as six months, six weeks and six days, although there can be some discrepancy depending on how you calculate the number of days in a year and a month. In further support of this Word is the multitude of fires and extreme temps currently plaguing the western United States. The news neglects to really report on how bad it is, and I often forgot as well. Great point Anessa. I updated the post to add the unusually large number of forest fires. This confirms what I felt on Aug 21, 2017 as I sat with my Grandma outside and peeked at the eclipse. I told her this is the beginning of the end. The next eclipse falls exactly 7 years later. There are NO coincidences with God. People that don’t hear His small voice, try to explain things away by science, or by reasoning. There is no “reasoning” this one away folks. His plan is coming to fruition, and it’s happening wether we want it to or not. A few hours later, I had to run an errand, and I looked up in the sky as I was driving, and there was a HUGE X in the sky, the exact same shape as the path the solar eclipse will take, 7 years from now. Coincidence? I think not. It was a confirmation from the Lord!! My dear brothers and sisters, it’s time to wake up and smell the coffee! He tells us, there will be signs in the sky! Boy does He sure mean what He says, and says what He means. Now is not the time to reason anything away, but to be still, and listen to that still small voice that is speaking. We serve a good God. A God that LOVES us. Trust in HIM, and He will direct your path. Amen? God Bless you all! I needed to read such words, Sir when you pray, pray for Alakanuk (my village) cause the sixth trumpet is about to blow. The kids need Jesus! Yes, it’s(the eclipse) another warning, but it may not happen for a few years. Note the word “FEW”. Keep in mind that Satan’s people running this world have and have had geoengineering working against the inhabitants of the earth. And yes, God does allow them to do it for the reasons written in Mr. Bailey’s article. But, it’s worse than many realize. Satan’s earth is ruled and run by serial killing pedophiles (at all levels) which created ISIS=little kings of pedophilia. Now you understand why no one can say a word against “Islam”. Give me a break. That is one of the biggest flim-flams of the men/woman who do Satan’s bidding. The child torturing and all the unthinkable terror and misery that goes with it has been accomplished the world over for decades and decades right under our selfish noses! Re-read and remember FIRST SAMUEL CHAPTER EIGHT. Ephesians 6:12: We’re not waging war against enemies of flesh and blood. No, this fight is against supernatural powers and demon princes that slither in the darkness of this world, and against wicked spiritual armies that lurk about in heavenly places- the spiritual world and evil governments ruled by those demonic spiritual forces.